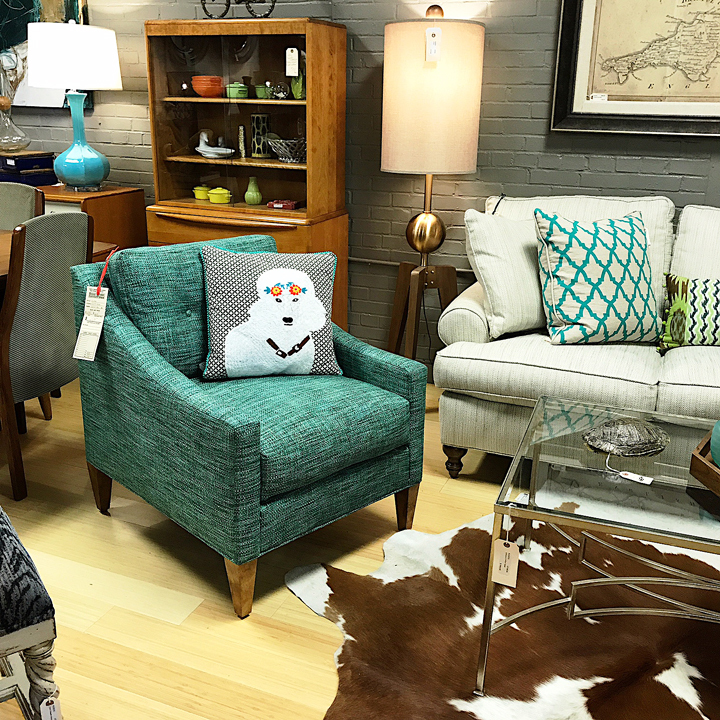 By popular demand, Kudzu now carries new living room sofas and chairs in addition to our vintage items. We’re pleased to offer Rowe Furniture as our featured upholstery line. Rowe is an established company and their products are proudly Made in the USA, and carry a Lifetime Warranty on the frame and 1 year on the fabric and tailoring. We feel that Rowe’s line of quality, contemporary and traditional designs are a perfect complement to our antique and vintage furniture, and we think you’ll agree. We also work hard to offer the best price points you’re likely to find anywhere. We invite you to come in and discover Rowe upholstery, as well as our other manufacturers, and see how you can real make your home your own…at the ‘Zu!